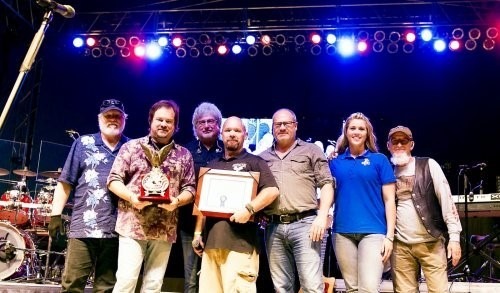 Nineties hit-making country music group Restless Heart has been awarded the 2017 Operation Troop Aid® Chris Kyle Patriot Award. The band was presented with the award this past Saturday night at the Touchdowns & Tunes Festival in Mayfield, Kentucky. Each year, the Chris Kyle Patriot Award is presented to an artist or entertainer who goes above and beyond to support our troops. Past recipients include Kid Rock, Hank Williams Jr., Kellie Pickler, Gary Sinise, Aaron Tippin, Darryl Worley, Charlie Daniels, and Toby Keith. The award, formerly the Operation Troop Aid® Patriot Award, was renamed in honor of the late Chris Kyle, a highly decorated Navy SEAL sniper. For more information on the band, visit restlessheartband.com. About Operation Troop Aid® Operation Troop Aid® is an IRS-certified non-profit 501c3 and Combined Federal Campaign member CFC#26493. Founded in 2004 by 21-year military veteran, Mark Woods, OTA partners with entertainment initiatives and provides care packages for U.S. service members with revenue generated through professional event promotions and public financial generosity. OTA strives to make a positive difference and inspire the armed forces by letting them know Americans stand with them. 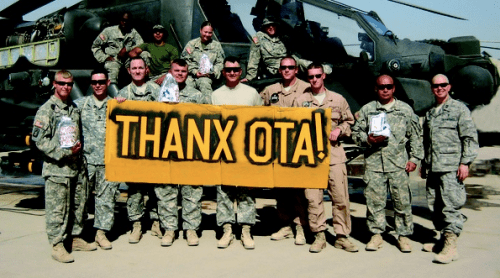 To date, OTA has sent nearly $11 million dollars in care package products to our troops serving overseas. To donate to the cause, visit operationtroopaid.org. “Like” OTA’s official Facebook Page HERE. Hurricane Harvey Prevents Mark Chesnutt From Traveling To Overseas Music Festival In U.K.